The 2011 WSOP Live Stream on ESPN 2 and ESPN 3 seems to be the wave of the future, and this is only possible because of the fantastic job done by poker pros Olivier Busquet and Antonio Esfandiari in the broadcast booth. Their insights and breakdowns of different hands, as well as their personalities, were the only reason the stream never became boring –much like the way golf analysts’ breakdown shots during the two minutes that the player is lining up a putt or taking practice swings. At first I thought this would never work, as poker is a pretty boring activity, but because of the work done in the booth I can honestly see “Live” poker becoming a part of networks’ Saturday and Sunday sports lineups. Realistically, it’s no more boring than golf or the Boston Marathon, and takes just as long, so why couldn’t in catch on? Hopefully the producers can devise a way to wire up multiple tables at the same time and jump around from table to table like they do in Golf. It appears that online poker has no bearing on the World Series of Poker as attendance was up in many events and the Main Event turned out to be the third largest of all-time. So in this classic question, “Which came first the chicken or the egg” seems to be answered as far as poker goes: it seems that the WSOP fuels online poker and not the other way around. 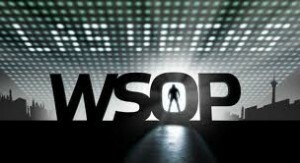 Obviously online poker can help boost the WSOP numbers, but the tournament series does not need to rely on the online poker rooms. Chris Moorman is one of the greatest online tournament players of all-time, and after his 2011 WSOP performance you can pencil him in as one of the poker world’s up-and-coming stars. Moorman isn’t simply going to be a poker pro who puts together a nice career; he has a chance to be one of the all-time greats. David Bach is a tremendous poker player, but he also seems to catch cards when he needs to, evidenced by his bad-call/good-catch against Vanessa Rousso in the 2011 WSOP Main Event. Ben Lamb on the other hand just “RUNS GOOD”! Lamb doesn’t use his run-good to drawout, instead he just always seems to flop the nuts! This entry was posted on Wednesday, July 20th, 2011 at 10:50 am and is filed under Poker News. You can follow any responses to this entry through the RSS 2.0 feed. You can leave a response, or trackback from your own site.